Well, that didn’t take long, did it? After Fox cancelled American Idol at the end of its 15th season, ABC outbid both NBC and Fox to revive it during the 2017-2018 network. Boy, poor Fox. All those slimy executives leaving their network and now they can’t even re-snag American Idol. Hasn’t exactly been their year, huh? I made the bold prediction last week when I published an article about Ryan Seacrest’s new job as co-host with Kelly Ripa on Live With Kelly and Ryan. All the pieces of the puzzle have fallen into place. Here’ s the full scoop via CNN. Apparently the show will possibly air on Sunday night, which I think is an excellent programming move. It reminds me of the Sunday night family programming from yester year – the Ed Sullivan Show, The Wonderful World Of Disney etc. The whole family participated in the viewing process. It was terrific. Hopefully, this will ignite this age old tradition once again. No judges or hosts have been confirmed but, with Ryan Seacrest’s adoption into the ABC family, he is a strong possibility. In fact, the major possibility, I dare say. 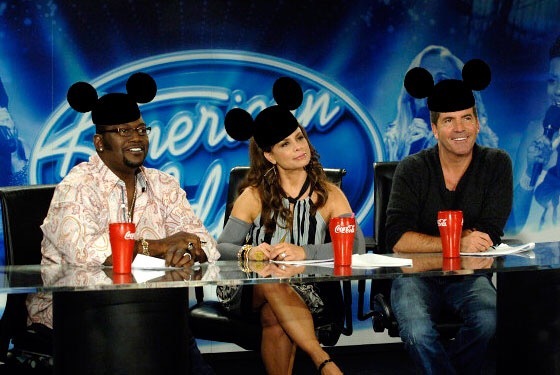 And, because of Disney’s involvement in the process, one can expect major opportunities for the emerging singers of this regenerated reality show. The Mouse will wave his magic wand and – presto – a star ⭐️ will be born. So, Idol fans, time to stand up and cheer. This will be a whole new show – bigger and better. Are you excited and hopeful to see what Mickey has in store for us? I’m feeling rather “meh” about it. I have my doubts as well. Music is becoming more and more about streaming and less about sales. It’s going to be tougher for a TV show winner to succeed in this kind of climate. I’m excited to see what “bold” changes they’ll make on Idol. That’s what they’re saying! BOLD. I know they want Ryan Seacrest to host – but how is that possible with his schedule? Unless they move it to New York. Someone mentioned Mario Lopez, who was part of a male singing group as host. He’s got the personality, I guess. I hope Adam Lambert is a judge. They also mentioned Kelly Clarkson. There has to be at least one former Idol and one famous singer as Judge. I keep watching my recordings of the 15 seasons. They make me HAPPY! I am very excited for American Idol’s return. Remember – Disney owns ABC, so expect Disney to find their own magical way to create stars. In a bolder way. One has to give it a chance. I much prefer the Idol format to The Voice. Just seen where Jennifer Hudson will be replacing Alicia on the Voice!